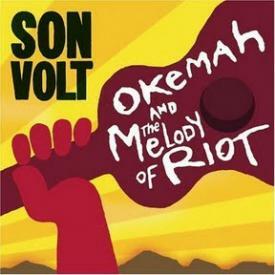 Son Volt's 'Okemah and the Melody of Riot,' the beloved outfit's first album since 1998, was released in DualDisc format on July 12, with an exclusive documentary. Clocking in at almost half an hour, the film provides an inside look at the reformation of the band, the making of the album, the first on-stage show of the revamped lineup, a solo, acoustic performance by Jay Farrar from NYC and footage from the band's performance at the Tower Theatre in Philadelphia on May 21, 2005. The DualDisc also includes an Enhanced PCM Stereo mix of the album, complete with Farrar's hand-written lyrics appearing on the screen as he sings them. 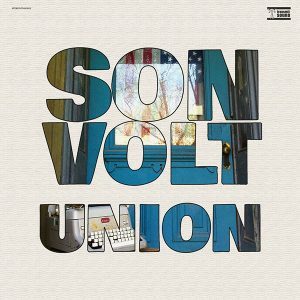 Anchored by Jay Farrar's songwriting and propelled by a renewed rock and roll aesthetic catalyzed by a cast of new players, the 12 songs of Son Volt's 'Okemah and the Melody of Riot' run from commotion to contemplation and chart a rock and roll chronicle of a quintessentially American sort, hard driving and unapologetic, with a singular, transcendent voice. The album was written by Farrar and recorded straight to analog tape in St. Louis during October 2004. 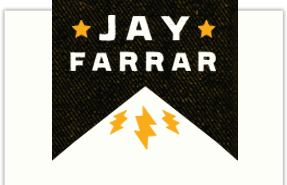 On 'Bandages & Scars,' the opening track of the album, Jay Farrar sings "Been doing a lot of thinking / Thinking about hell // Words of Woody Guthrie ringing in my head." The song is the first shot in a hard driving and unapologetic lyrical narrative that spans both the personal and political. It's a chronicle of America -- Guthrie's America, generations hence ­ from the wide avenues of "Who" and the ivory towers of "Ipecac" to the country's most famous highway in the song "Afterglow 61." "I've committed well spent days driving parts of highway 61 from New Orleans to Minneapolis," says Farrar of that song's genesis. "It's just a piece of America that often goes unseen but I think needs to be seen." On songs like "Jet Pilot," "Atmosphere" and "Endless War," Farrar pens a series of searing and topical indictments. On "Jet Pilot" Farrar intones like a plains-state Gil Scott Heron: "The revolution will be televised / Across living rooms of the great divide // His Daddy Has a job in Washington / Wants to raise a Harvard son // Jet pilot found a way got a passing grade / Made it to the world stage." Commotion gives way to contemplation on evocative tracks like "Gramophone," a paean to the enduring power of music (brought by "vinyl disc with power to hypnotize") and the album's closer, the gorgeous "The World Waits For You," appearing both as a sparse piano ballad and reprised as a full band rave-up. Farrar explains: "Playing the piano for me is like going into a bullring. The last couple of years I've tamed it enough to write one song a record on piano. This time around it was 'World Waits for You'." The songs of Okemah are already drawing raves, fresh from just a handful of preview concerts: According to Esquire Son Volt's blistering set at SxSW "proves profundity and amps set to 11 aren't mutually exclusive concepts," while at a solo acoustic show Paste hailed the new songs that "find Farrar-the-wordsmith at his best". Though the band has a new cast of characters, the songs are still Farrar's, his voice and writing the epoxy that keeps the act in wide swing." The expansive documentary, entitled 'Break Through the Lens,' follows the progress of many songs, from rehearsals and tracking sessions to the stage, where the band's new recording lineup debuted December 11, 2004 at The Mound City Music Festival in St. Louis, MO. Intimate footage from Jay's solo performance April 15, 2005 at New York City's Housing Works Used Book Café provides a foil to the full band performances. Footage from the band's performance at the Tower Theatre in Philadelphia on May 21, 2005 is also included and features the addition of new touring guitarist, Chris Frame. Farrar provides further insight into his songwriting and the band's dynamic in a newly taped NYC interview. The documentary focuses especially on the driving "Afterglow 61," inspired Rock and Roll love letter "6 String Belief," the rootsy, nostalgic "Gramophone," an acoustic take on the psychedelic "Medication," and album closer "World Waits For You," a rousing, melodic number with Farrar on piano. "Joe Citizen Blues," a non-album track, is also included. 'Okemah and the Melody of Riot' features Jay Farrar (vocal, guitar, piano, harmonica), Dave Bryson (drums), Andrew Duplantis (bass, backing vocal), and Brad Rice (guitar). The new album is available in 180-gram vinyl and digital download formats, with an exclusive studio version of "Joe Citizen Blues" available at iTunes.